Why I became a Paranormal Romance Author. Usually the second question is asked with curiosity, amusement and sometimes the occasional condescending gaze of someone who believes themselves to be far more intelligent than little old me. I never know what the right answer is to give because to do so is almost ridiculous. I know that I am not going to win a Pulitzer. I also am very much aware that Hemingway or Fitzgerald will not be mentioned in the same sentence as my name many years from now. I will try to explain it as best as I can and then hopefully I never have to defend my genre ever again. I love the classics as much as anyone. I enjoy discovering new authors that take you on gritty adventures and explore the depth of the human soul with breathtaking realism. I can read a good regency romance one day and Jane Austen or Charlotte Bronte the next. I have lost myself in the horrifying world of Stephen King only to be brought back from the shakes by the smart, great Nora Roberts. I’m a writer. I love to read but if I had my choice of all the books in the world I would choose a good paranormal romance over any other genre. I believe that inside everyone of us is a child that still remembers their first fairy tale book and listening with awe as the image of the fantastical was implanted in our young minds. 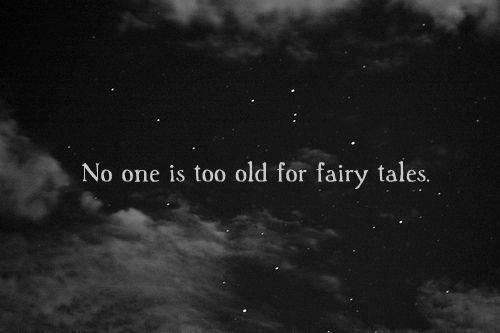 What girl doesn’t go to sleep dreaming of her prince charming or of having a fairy godmother? What young boy doesn’t daydream about slaying a dragon or being a swashbuckling pirate? I think as we get older, we are almost programmed to ignore our imaginations and focus on the ‘real world’. We are told from a young age to grow up and be more mature so that we may someday take the world by storm in the court room or the oval office. Our toys get packed or sold away and before you know it we are caught up in the drama of life. I refuse to give up on those daydreams and I have dedicated my life now to creating crazy stories about the mythical so that people can get lost for a little while and remember what it was like to believe in something that was all too real in our minds when we were young and innocent. I also wanted to bring a sense of realism and so yes, I swear and I write love scenes a little too graphic for my father’s liking but when you’re writing for adults you want them to be interested enough to continue but you also want to intrigue and tickle their childhood nostalgia. I believe in happily ever after and I guess I just want you to believe it too, even if it’s only for a short time.